Gentle cleansing shampoo with ocean silk technology, climbazole and piroctone olamine to maintain a healthy scalp and hair. Adds volume and bounce with a refreshing effect. Massage a small amount into wet hair. Rinse thoroughly. 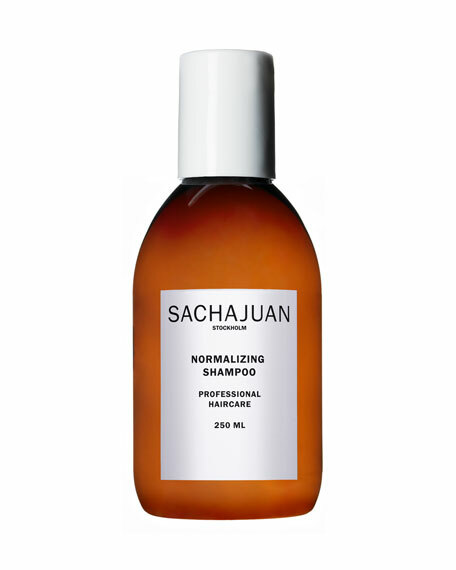 Follow with Sachajuan normalizing conditioner. This is the product for maintaining healty scalp and hair keeping you out of trouble.